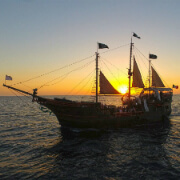 This fantastic ecological excursion visits a pristine marine sanctuary at the mouth of Banderas Bay. The Marietas Islands are a splendid grouping of rocky islands near the Pacific Ocean. These isles are home to a fabulous array of rare nesting birds. An astounding underwater coral habitat thrives below the surface of the water. 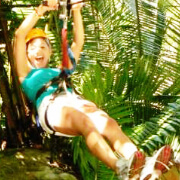 Don't miss your chance to zoom high over the emerald forest near Puerto Vallarta while riding one of area's most extensive canopy zip-lines. You can zip along 14 cables at speeds surpassing thirty miles per hour. You will witness the natural wonders of this paradise from a bird's eye view. 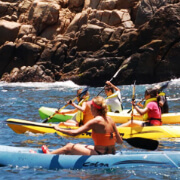 Join our naturalist guides for an incredible ecological excursion across the gorgeous waters of Banderas Bay to see wild dolphins, aquatic birds, and other exotic marine species in their natural environment. 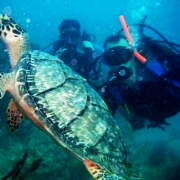 You�ll travel to the splendid marine preserve at Los Arcos for snorkeling above a teeming coral reef. 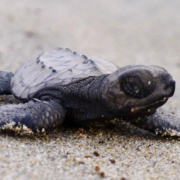 Come see one of the most awesome natural marvels in all of Puerto Vallarta: the hatching of baby Olive Ridley turtles. See them scurry through the sand into the giant Pacific, starting their new life to return one day and continue the cycle of life. 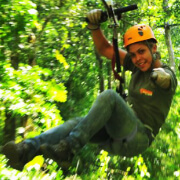 You will also visit the El Quelele wildlife facility and observe the American Crocodile on this tour. Travel with Chico's on a thrilling snorkeling adventure to Los Arcos, a grouping of granite isles in Bahia de Banderas. 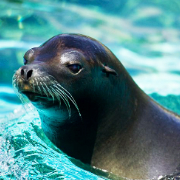 At this federally protected marine preserve, you can witness remarkable natural marvels both above and below the water's surface. 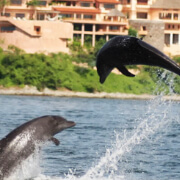 Los Arcos, located south of Puerto Vallarta, is one of best snorkeling spots in the region.